Mr. Peter Mangold from Switzerland was kind enough to leave this information on our blog regarding the origins of the Mangold name. His original comment can be found HERE. I hope those with our unique name will find this helpful. A special thanks goes out to Peter for his research. As of the origin of the name, I have other information than you: Personally, I think an origin in either Spain or Italy is unrealistic. First of all, mobility in the Middle Ages was much lower than today (very much lower!) and only very few people moved very far from where they were born. in fact, moving out of a certain area was even prohibited by the authorities in certain regions (because the people were subjects of their lords – and required a permission to move and even to marry outside of their district). Secondly, even if somebody settled down far away from where he came from (for example mercenaries that could not or would not return home), they were mostly given names referring to their place of origin rather than they kept their own names. This was not unusual, as in these days, people had normally only one name and their “last name” was either their fathers name, their profession or described where they lived (take as an example the Swiss-German name Amstutz meaning “the one who lives on the steep slope”) Therefore names could change quite quickly. When the need for proper identification became bigger as bureaucracies were created to administrate regions and rulers began to make lists of their subjects – such as parish registers – some names became permanent last names. These could again derive from either profession (for example Cooper and Miller), places or from a previous “first name” (so called patronymic). That was the case with Mangold as Mangold was – in the Middle Ages but no more today – a popular first name. It is in its development related to the name Walter – a german name that still is today both first name and last name. And as it is the case with Walter, it refers to a leadership position: Walter has its roots in Old German “waltan” and “heri”, meaning “to preside over, to dispose” and “army” as in modern German “walten” and “Heer”. Mangold derived from “manne” and “cwolt”, meaning “men” and “force, sway, violence” as in today’s German “Männer” and “Gewalt”. So it described someone who had the power and personality to rule. I guess, the “legend” of an origin in Italy comes from a mistake (See referenced post here). Mangold is not only a name for a person but also the name of a plant in Germany (Chard or Silver Beet in English) and this plant has its origins around the Mediterranean Sea. Hi Rodger – your blog is looking good. How are you and your mom doing since your father’s passing. Great post that you don’t want to “get over” your father’s death. I have a bit on that. I might post it for you. Hope no one has actually told you that. A well meaning friend said those exact words to me one day. She still has both parents and her grandmother, so she really couldn’t understand. I love this information on the Mangold name. I have studied family history for years and am always looking for interesting stories on family names. You have a wealth of information here and it is exciting. Hallo Roger, Thank you for the research you have done – I live in Kanada since Jan.6th. 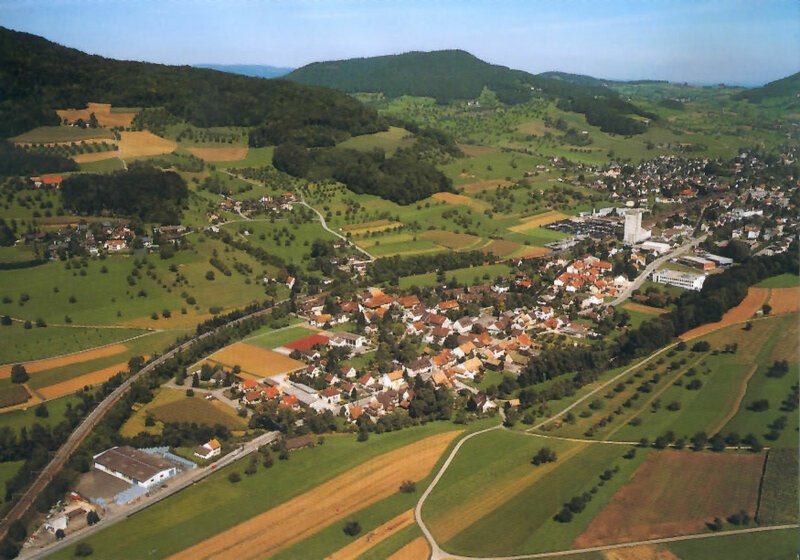 1968 – I was born in Leutkirch im Allgaeu, Germany. My grandfather’s name was Mangold – with whom I grew up – and my grandmother’s name was “Hutter”. I believe that this name came from Switzerland. Always nice to know that there are names still around that one has in common with. If I may, it seems much more likely that ‘Mangold’ comes from translating an important Old English word of certain importance: ‘wergild’. Anyone who knows what a ‘werwolf’ is will be able to guess what ‘wer’ means in the word (man). ‘Gild’ is just an older spelling of the same word we know today as ‘gold’. The ‘wergild’ was introduced by vikings and Anglo-saxons to stop the killing in a brutal warrior culture that required reciprocity for anything good or bad. In this case, if someone were killed in one clan, the ‘reciprocity’ meant killing someone back in the offending clan. It had to be someone of equal ‘worth’ to the one killed in the first place. A ‘chief’ for a ‘chief’, or a ‘brave’ for a ‘brave’, perhaps. The problem being that the second killing which was meant as revenge would start another round as that killing had to be repaid. Eventually, with this important cultural value carried out to its extreme conclusion, the feuding would only end with the death of the last person in a family. At some point, the idea emerged that a ‘man-price’ could be paid by the offending tribe in lieu of such a war. Naturally, that price would be negotiated on the basis of the importance (to the tribe) of the life taken from them. ‘Wergild’ is the old Saxon term for this payment — a lifesaving innovation. Translating the original germanic word root to a Latinate form yields “Mangold”. A more poetic translation of the idea of the man-gold/man-price might be ‘redemption’ or ‘ransom’. That’s what I think the name means. Though I am a scholar of early modern English poetry, I have a great fondness for the earliest English poems such as “Beowulf” and “The Dream of the Rood” where the ‘wergild’ can be found in key places. I have not done research on the history of the family name itself, but if it is possible that a name can derive from a device used in war, why not the instrument for ending war? Postscript: The word ‘wergild’ (the source for the name Mangold if I am right) appeared in literature that dates at least as early as the 7th century. I apologize for my lack of follow up on this incredible reply to my post Kell. I have done extensive research since posting this in 2015 having actually gone to Germany and Switzerland to trace some of these facts while there on a mission trip. This is an extremely moving version of the Mangold Name I have never heard of. Coming from a Christian background, I’m moved by the price that was paid for my redemption. Where sin demanded my death, Christ was my “wergild” and ended the cycle that would have cost me my soul. Wow…just Wow! Thanks again Kell!